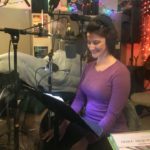 Sarah Maynard-Murray joins the team this week. She’s an air national guard veteran, former teacher, and a float center owner, who’s also worked in the aerospace non-profit realm, and with special needs kids, has a degree in corporate fitness… so basically, she’s a rock star. And now she and her husband own and operate a float center in Tacoma WA, Uncharted Waters, while growing a family. She started iRest ® therapy to help with several personal issues and found relief after her very first session. iRest ®, which means integrative restoration, meditation aims to restore individuals to their whole, healthy selves. It’s based on the ancient practice of yoga nidra, and has been proven successful for individuals with PTSD and similar mental challenges. 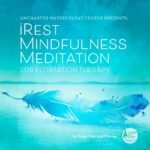 Sarah has created several recorded iRest ® meditations that are specifically formatted for use in the float tank. This is AMAZING. I am speaking at a mindfulness meditation event tomorrow here in Chicago and will be announcing our mindful float series!!! I will definitely be reaching out to Sarah!